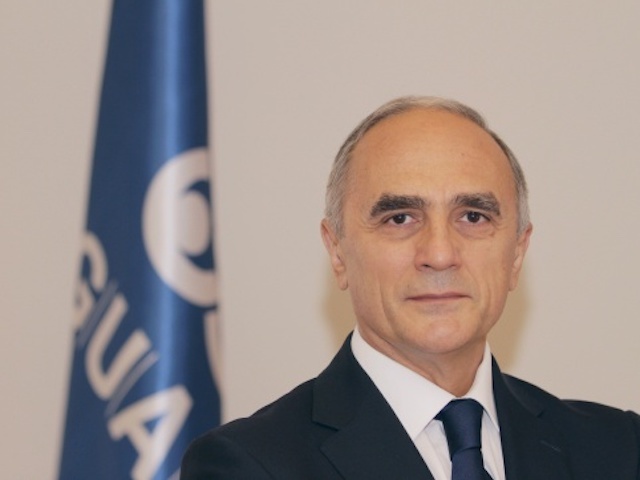 On May 15, 2015, Extraordinary and Plenipotentiary Ambassador of the Republic of Azerbaijan Altai Efendiev was commissioned to the post of the GUAM Secretary General for a four-year term starting on January 1, 2016, during the 25th meeting of the Council of Ministers of Foreign Affairs of the GUAM in Bratislava. Post-graduate study, the Institute of Oriental Studies, Moscow, Russian Federation. Senior Managers in Government Program, JFK School of Government, Harvard University, USA. 1980-1992 – Researcher, Institute of Oriental Studies, Academy of Science, Baku, the Republic of Azerbaijan. Lecturer on international economic relations at: Baku State University, Western University, other private institutions and senior manager courses. Deputy Head of national delegation to the World Summit on Water held in 2003, Kyoto, Japan. Author of over 20 articles on economies of the developing countries, international affairs, economic development of the Republic of Azerbaijan. English, Russian, Turkish, Spanish, French (med).